Having problems with the button above? Try downloading the installer directly. Live Friends is a simple desktop client for viewing, messaging and managing Xbox Live/Games for Windows Live friends on the desktop, since its built using Adobe AIR it's available on Mac, Linux and of course Windows unlike games for windows. Live Friends is a project build highly off of the code base provided by Steam Friends so given that it also looks allot like it. However Live Friends supports the ability for you to message your friends, unfortunatly though I can only provide/allow the sending and reading of text messages over the service as Live Friends pulls its content directly from Xbox.com. Which of course poses its own problem, I need to authenticate the users with Xbox.com. So Live Friends uses a hidden HTML component to render the Xbox site, then I can use a hack I discovered a several months ago allowing me to use ActionScript 3 to interact with the Live.net login form, allowing me to populate the content of the form with what the user fills into the Flex fields for the username and password. 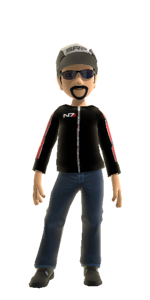 Live Friends also uses serveral publicly available features of xbox, including the ability to fetch avatar images via avatar.xboxlive.com and gamercards via gamercard.xbox.com however most of these are limited by the privacy of the gamertag. However since the user is logged in I'm able to send the cookie that is being used by the HTML component along the request for the gamercard or avatar imag, which allows me to get around most of those restrictions. Disclamer: Live Friends does not send login credentials for Xbox.com to anywhere other than Xbox.com if you choose to remember your login information is stored in an encrypted database on your machine.